There are more ways to wear the maxi dresses and jumpsuits you know and may already love. Sure, they make one stellar outfit on their own AND these great pieces can be made into multiple outfits. Especially for trips where you need to cram everything into a carry-on (aka pack light) and save on space. Jumpsuits are a great piece to wear, as is, with a stylish belt to accent your waist OR throw a sweater or shirt over and give the illusion of wearing just pants. Using look 2 from below as an example, remove the belt, add a fitted & cozy sweater & BOOM! 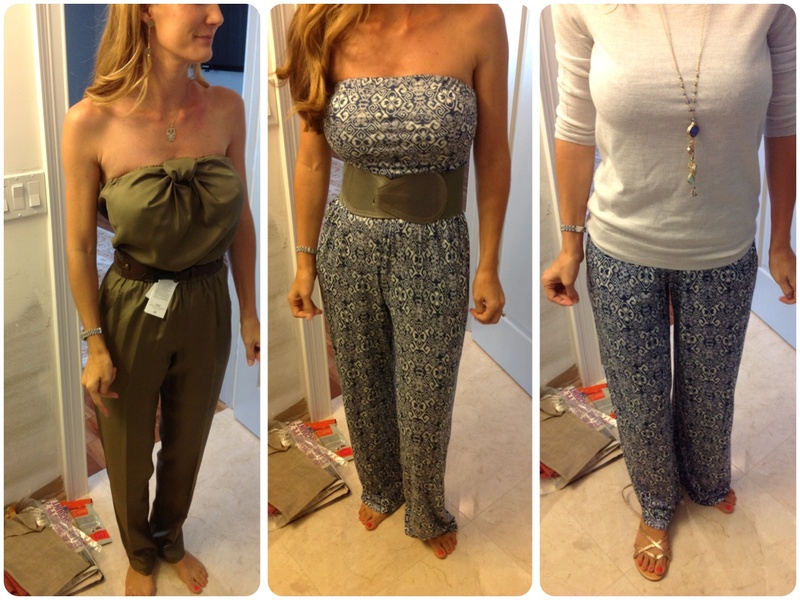 your jumpsuit is now palazzo pants (look 3)! The biggest tip is to make sure the top of the jumpsuit &/or maxi dress does not have any big detail that would prevent a top from laying nicely over it. You could also add a v-neck shirt and have the pattern peaking out the top. There are many ways to play and as always I encourage you to do just that.